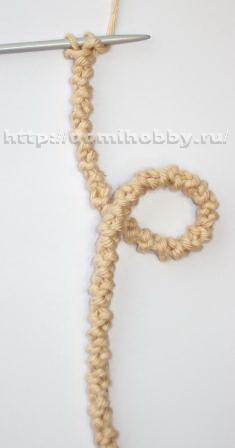 There are many different methods and techniques of knitting cords, which are used not only as a functional piece of clothing or accessory, but also as a decoration. 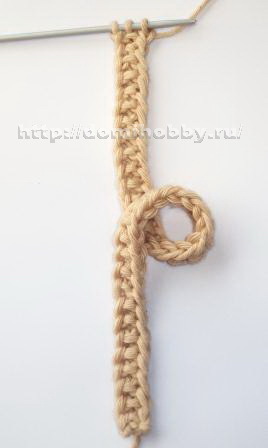 Consider a few basic types of knitting cords, as well as reception decorations cords knitted fabric with braids. 1. The easiest, thin, round cord fit on two hinges. Dial needle on two loops * First remove (the thread of the work), the second knit purl, turn the work and repeat from * to the desired length of the cord. 2. 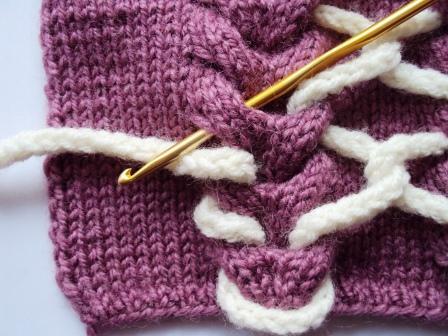 Knitting requires two needles hosiery, both of whose end of work. 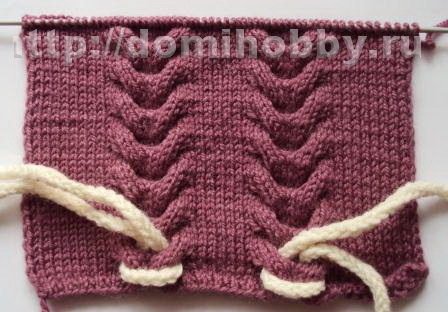 Type 3 loops and knit them face loops. 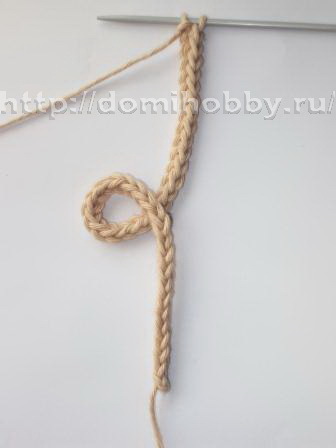 Then move the job to the other end spokes without turning the work, * pull working yarn behind and knit 3 facial loop and again move the knitting, repeat from * provyazyvaya cord to the desired length. 3. 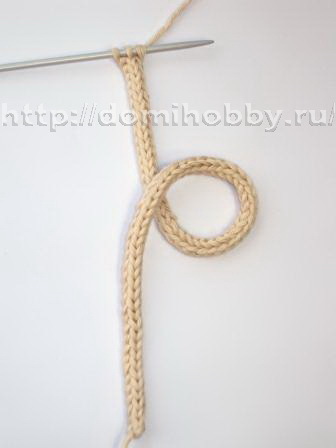 This cord fit as well as the previous one, but in 4 loops. 4. 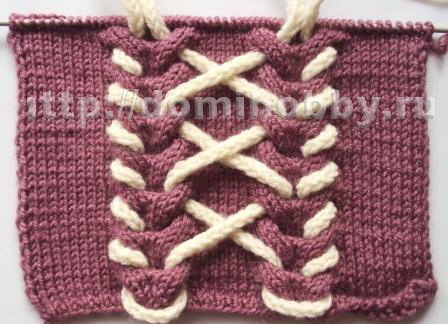 The cord of knots fit on two hinges. 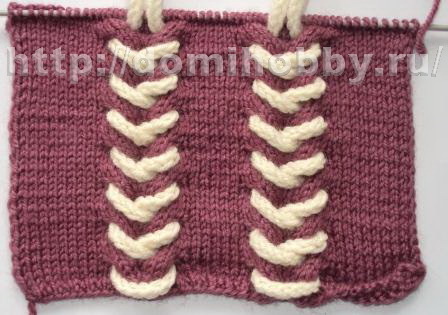 After earning two loops, the first row of knit facial loops, and then turn the work *, remove the first loop (the thread of the work), the second loop knit front, repeat from *. 5. 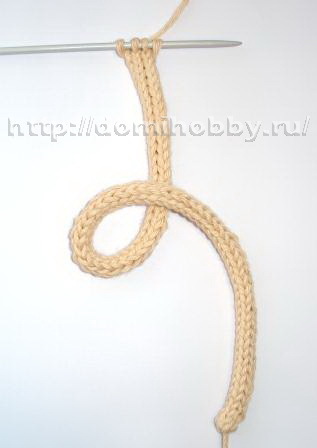 The flat cord with knots. 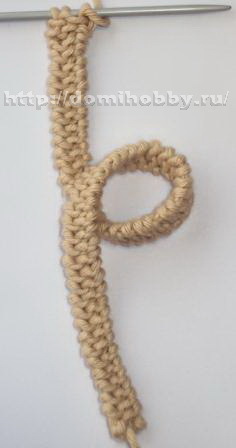 Type in the spokes of the three loops, the first row of knit facial loops, turn the work *, remove the first loop (the thread of the work), the second and third loop knit facial, repeat from * to the desired length of the cord.